Howard G. Buffett, son of billionaire investor Warren Buffett, donated $24 million to fight rhino poaching in South Africa, specifying that the money go mostly to ranger teams, sniffer dogs and other security measures. Buffett, who has made a name for himself as a businessman and investor, noted that the poaching problem is "an overwhelming issue." "We're going to do it at a scale that hasn't been done," Buffett told The Associated Press. The three-year program, which will occur in one-third of the vast Kruger National Park, will employ some of the same tactics used to patrol the U.S.-Mexico border, like aerostats and balloons with infrared cameras. The heightened security is meant to stop the many poachers who often enter the park from neighboring Mozambique. 4,000 rhinos live in Kruger National Park. So far this year alone, poachers have killed 172 rhinos, two-thirds of them in Kruger park. 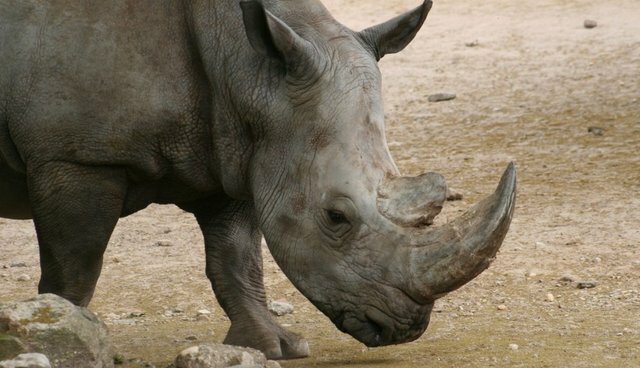 Last year, 1,004 rhinos were poached in South Africa -- three times as many as in 2010. While the initiative does not address the demand for rhino horn as a traditional medicine in Asia that fuels poaching, Buffett said they will use cross-border criminal investigations and intelligence networks in order to learn "what works and what doesn't work." This isn't Howard Buffett's first foray into conservation -- he founded the Nature Conservation Trust, a non-profit Trust in South Africa to support cheetah conservation, the International Cheetah Conservation Foundation and was a Founding Director of The Cougar Fund.